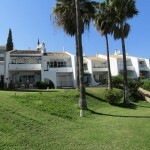 Search here for properties in la Cala de Mijas on the Costa del Sol. Formerly a sleepy fishing village set between Fuengirola and Calahonda on the Costa del Sol has become a popular destination for both tourists and residents of the local area. Over the last few years more and more restaurants, bars and shops have opened in this quaint “village.” Like most coastal areas on the Costa del Sol La Cala boasts a lovely beach which is serviced by a selection of restaurants and bars. On the opposite side of the main n340 road there is a huge new development being built which is sure to bring many more people to the area. Along with a new golf course and the rapidly growing commercial centre the future is bright for this beautiful village. La Cala de Mijas is one of the few fishing villages on the Costa del Sol that has retained its character while the coast has developed so rapidly. It is a vibrant and thriving village which has attracted a lot of new businesses over the past 5 years. Holiday-makers are becoming more independent and are looking to find out what La Cala can offer for a holiday. La Cala has a wonderful assortment of places to eat. Whether you are looking for International, Spanish, Indian, Chinese, Thai, Italian... or even British fish & chips, the restaurants are here. Or maybe you want to just take in a small bar with a mouth-watering selection of tapas - no problem. La Cala also has a number of beach bars serving excellent fish fresh from the sea.La Cala is still regarded as a village but it contains a varied selection of properties. There are no high rise blocks so you will never be overshadowed. Studios, apartments, townhouses and villas can all be found within the bounds of the village - and all just two minutes walk from the long sandy beaches.